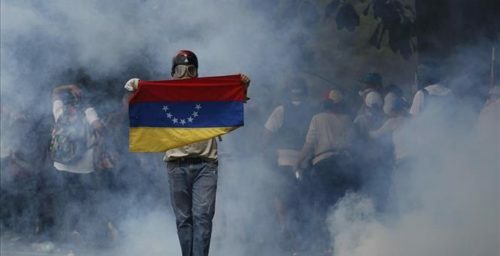 Still, despite the deaths in recent protests, now numbering seven, Wednesday’s rallies attracted thousands of people, the latest in a string of demonstrations against the increasingly autocratic rule of Mr. Maduro. Labeled by organizers “the mother of all protests,” it showed that a sustained movement in the streets against Mr. Maduro may now be forming. Many of the impoverished residents of the vast slums that ring Caracas and other major cities are angry about a collapsing economy and food shortages. But Venezuela’s political unrest remains mostly confined to middle-class enclaves, underscoring the struggle the opposition here faces in trying to unseat an increasingly authoritarian government. Until the slums rise up, Mr. Maduro will likely hang on, analysts say. Tillerson says the U.S. is watching the situation closely and is working with others, particularly through the Organization of American States, to communicate its concerns to Venezuela. Maduro will continue to blunder in office for the time being. the popular militia has added another 50,000 members (link in Spanish) – to an estimated total of 500,000. The regular armed forces total 160,000 with army reserves of 25,000, according to Clarín. Yet, it is impossible to know the actual number of colectivos. The military may not see it in its best interest to fight them. [added:] Additionally, the military control the food supply, and will do so with any humanitarian aid. The opposition is disarmed, and quite fragmented, aside from being mostly socialist. Foreign actors such as Iran, Russia and the FARC are in cahoots with the government, especially Cuba, which controls the intelligence agencies. Maduro lived in Cuba in his younger days. Venezuela’s own vice-president, El Aissami, is in the U.S. Treasury Department’s kingpins list, which has frozen nearly US $3 billion of his assets, and he is reportedly linked to the sale of Venezuelan passports to Hezbollah. The State has spent twelve-plus years consolidating power around itself. 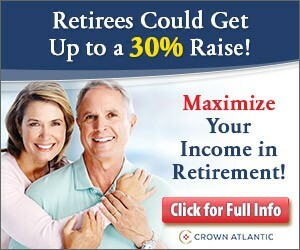 The amount it spends on its oil-sponsored international propaganda machine is immense. Everything is the fault of the U.S. “empire”. The U.S. and the EU could implement sanctions against the regime, but should not intervene directly. Until Venezuela’s regime recognizes that it has become an international pariah, nothing is going to change. Socialism fails. Let Venezuela live up to it. GM’s production in its Venezuelan plant had plummeted following the implementation of currency controls under Hugo Chávez. Venezuela: Diosdado and drugs – whose powerplay? In addition to [Interior Minister Tarek] Mr. El Aissami, other powerful officials under investigation include Hugo Carvajal, a former director of military intelligence; Nestor Reverol, the head of the National Guard; Jose David Cabello, Mr. Cabello’s brother, who is the industry minister and heads the country’s tax collection agency; and Gen. Luis Motta Dominguez, a National Guard general in charge of central Venezuela, say a half-dozen officials and people familiar with the investigations. In an appearance on state television Wednesday, Mr. Cabello said he solicited a court-ordered travel ban on 22 executives and journalists from three Venezuelan news outlets that he has sued for publishing stories about the drug allegations earlier this year. Because let us all be clear about one thing: this has happened because Hugo Chavez, the hero of the left, has allowed for it to happen, has encouraged it to happen. Diosdado did not come out of thin air. That maybe he became too strong for Chavez to control is another story, but Diosdado Cabello is a Chavez creation, just one of the cogs in the drug machinery that Chavez set up to help the FARC against Uribe. And the cogs are many, including noteworthy high ranking pieces like current Aragua state governor. 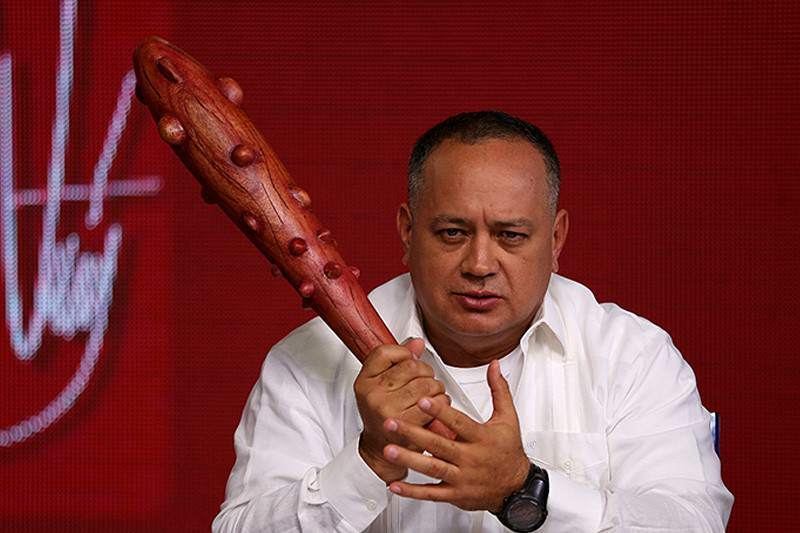 Diosdado Cabello will take down with him as many as he needs to take down. He will take the country down with him if he needs to. the unraveling of the Suns Cartel has tremendous implications for the power balance within chavismo. Maduro has an obvious choice: either tie his sinking presidency to the fate of clumsy, leaky, “stocky and bull-necked” (loved that) drug smugglers, or turn Diosdado and crew over and save face. And just what do you think the Cubans will suggest he do? Maduro’s handlers, after all, are the folks who murdered Arnaldo Ochoa. Of course, this is all speculative, but if you think Maduro isn’t mulling what to do at this point, then I think you’re being naive. Miguel Octavio ponders, Is Maduro so strong that he can get rid of the most powerful former military in Government just like that? Amid all this speculation, the only thing you can rely on is that, no matter the outcome, the U.S. will continue to be portrayed as the root of all evil. Salazar has already testified that Cabello heads up the Soles cartel, a criminal organization that monopolized drug trafficking within the country, according to sources involved in the case. The Cartel of the Suns, primarily composed of members of the military (its name comes from the insignia worn on the uniform of Venezuelan generals), has a drug trafficking monopoly in Venezuela. The drugs are produced by the Colombian FARC [Fuerzas Revolucionarias de Colombia guerrillas] and taken to their destinations in the U.S. and Europe by Mexican cartels. Recent international figures indicate that Venezuela ships five tons of narcotics on a weekly basis. Ninety percent of the drugs produced by Colombia transits Venezuela. In his revelations, Salazar also implicates the governor of Aragua state, Tarek el Aissami, who also has links with Islamic networks, and José David Cabello, brother of the National Assembly president, who for several years served as director of SENIAT [tax agency] and minister of industry. José David Cabello is allegedly responsible for the finances of the Cartel of the Suns. Salazar mentions that [the state-run oil company Petróleos de Venezuela] PDVSA is a money-laundering machine (sic). PDVSA’s former president from 2004 to 2014, Rafael Ramirez, was appointed in December as Venezuela’s ambassador before the U.N. Security Council. Regarding the links with Havana, Salazar mentioned the regular use of PDVSA aircraft to transport drugs. A son of Chávez’s and a son of former Cuban ambassador in Caracas, Germán Sánchez Otero, organized these shipments. Other Cuban officials are mentioned as part of the scheme. The final destination of these shipments was the United States. Caracas Chronicles has more on The Bodyguard. In Latin America, drugs, terrorism and crime are threads of one fabric. And paying for the Bolivarian Revolution is not cheap. Linked to by Stones Cry Out. Thank you! Linked to by Pseudo-Polymath. Thank you! Read more about Iranian infiltration in Canada and the Americas here. Sigepol, Venezuela’s new ​technology platform which will audit Venezuelan police​, will be the only system issuing credentials to security officers in the country, is being provided by…Cuba? According to Noticias 24, Venezuelan interior minister Tareck El Aissami denied that Cuba was in charge of the operation. Mr. El – Aissami is a Venezuelan national of Syrian descent who, before becoming Minster of Interior and Justice, occupied the position of Deputy Interior Minister for Public Security. His father, Carlos Aissami, is the head of the Venezuelan branch of the Iraqi Baath political party. Before the invasion of Iraq, he held a press conference in which he described himself as a Taliban and called Osama Bin Laden, “the great Mujahedeen, Sheik Osama bin Laden.” Tarek’s great-uncle Shibli el-Aissami was a prominent ideologist and assistant to the party’s secretary general in Baghdad during the Saddam Hussein regime. What does this mean to US-Latin American relations? Tune in today’s podcast at 11AM Eastern and find out. Chavez added a previously unscheduled stop in Russia on his way to China next week. Scroll down for link. First, those two Russian bombers who were visiting for four weeks left quietly on Thursday, three weeks ahead of schedule, after completing five geographic reconnaissance missions in eight days. Curiously, the English-language media has many articles on the jets’ arrival but I had to change all the Google preferences to Spanish in order to find confirmation that the jets had actually left. The BBC mentions that Venezuelan NGOs have expressed their concern that Chavez is trying to drag the country into another Cold War. Of course Chavez ignored them. Which brings us to the second travel item: Chavez is heading to Cuba for the weekend. Chavez of course will be welcome with open arms in Cuba, which needs all the help it can get, after all the hurricane damage. While Hugo’s in Cuba for the weekend, former Defense Minister Raul Baduel said in an interview that 80% of Venezuela’s army rejects Chavez’s plans, since they aim to end that institution. Chavez is scheduled to travel to China next week, but now he’s added Russia and Portugal to his itinerary. Considering how the Russians pulled the jets early, one can surmise that Vlad wanted a few choice words with Hugo.